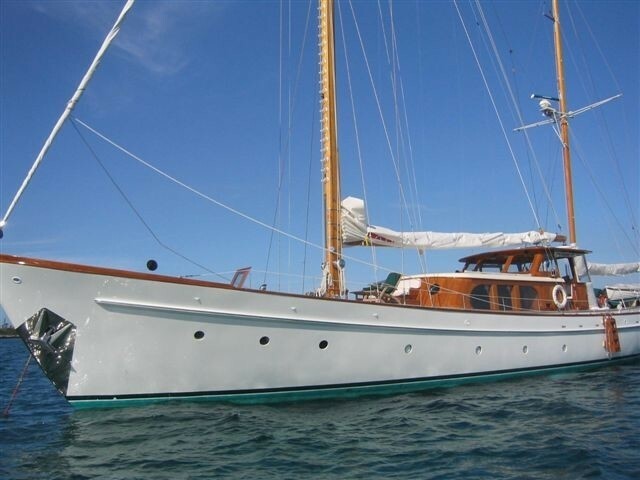 Luxury motor sailor SEA DIAMOND features design by Philip Rhodes and was built in 1956 by the German shipyard Abeking and Rasmussen. 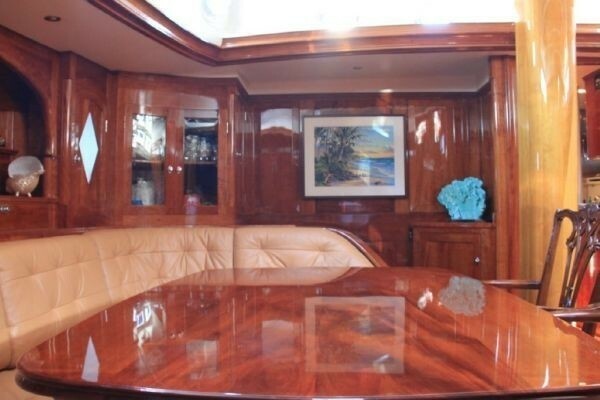 M/S SEA DIAMOND received an extensive refit from 2001 to 2004 totaling 6 million dollars, completely taking her back and revamping her timeless styling. 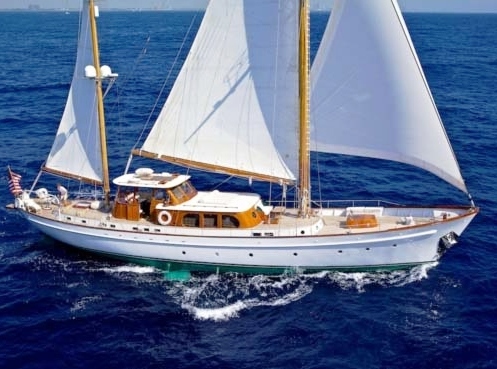 In 2014, SEA DIAMOND underwent a further refit. 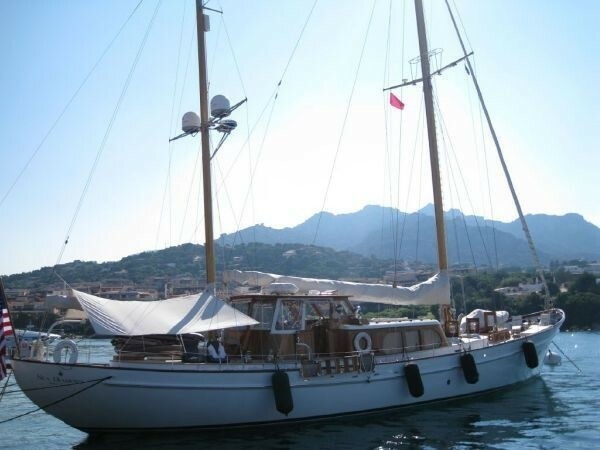 The yacht boasts a timeless elegance and offers accommodation for up to 5 charter guests in 3 cabins. 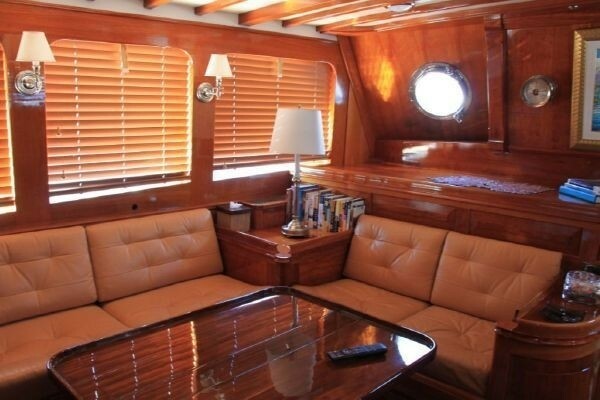 S/Y SEA DIAMOND has a refined elegant interior décor, featuring high gloss woods throughout, supple leather soft furnishings and modern amenities. 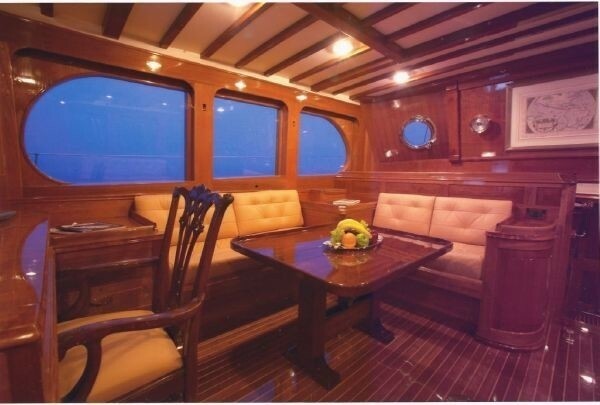 The upper pilot house is on the main deck and offers a protected dining area with surrounding windows, perfect for a light lunch or evening canapés and cocktails. 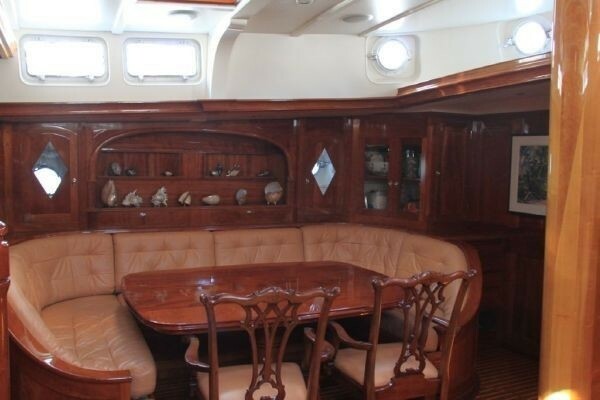 A generous upper salon is in a semi raised position, with panoramic windows, a large table, 2 ample seating areas and full entertainment systems. 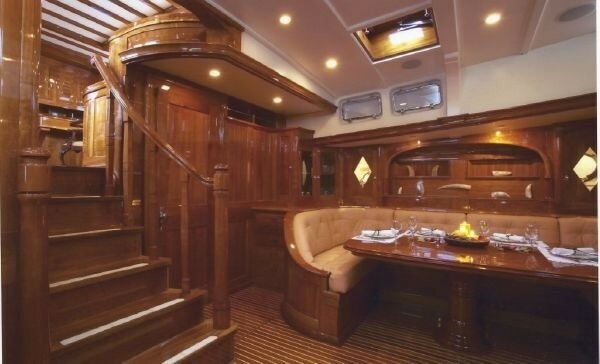 Below decks, a lovely sweeping stair case gives way to a lower salon and formal dining area, complete with plenty of comfortable seating, natural light and further entertainment systems. 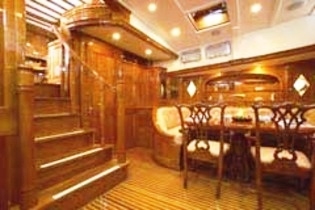 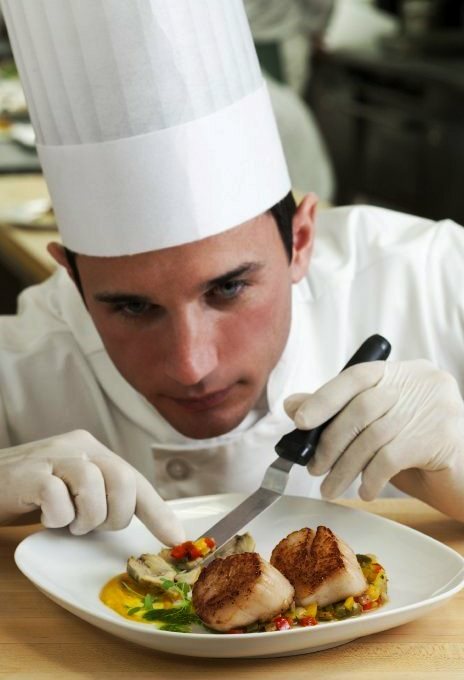 Guest accommodation is aft of the salon, in one master cabin, one twin cabin and one study, with a Pullman berth. 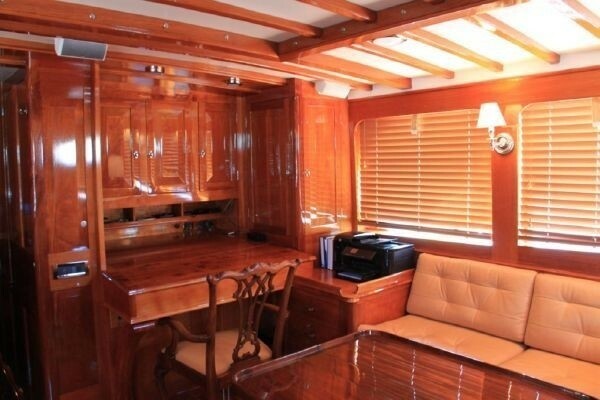 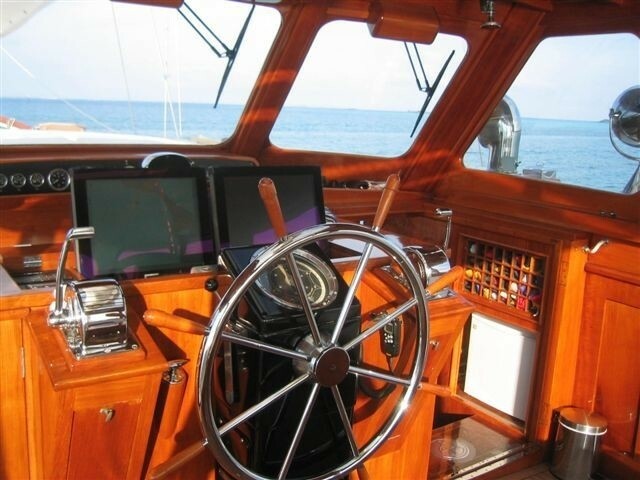 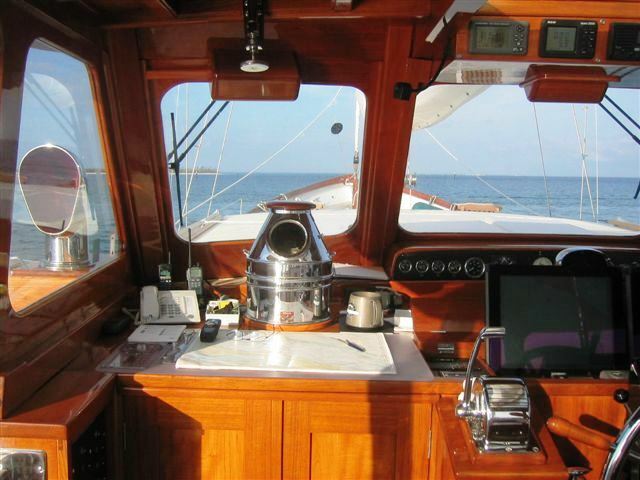 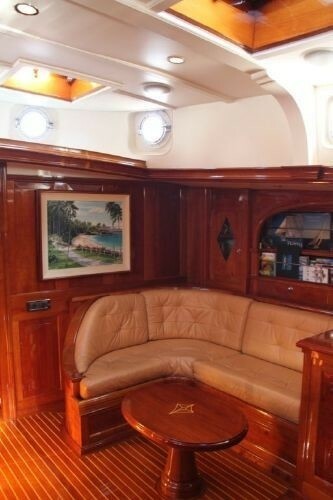 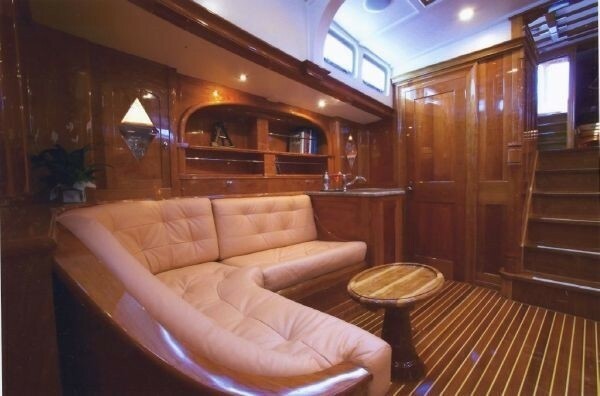 Crewed charter yacht SEA DIAMOND has full air conditioning throughout, ensuring optimum comfort. 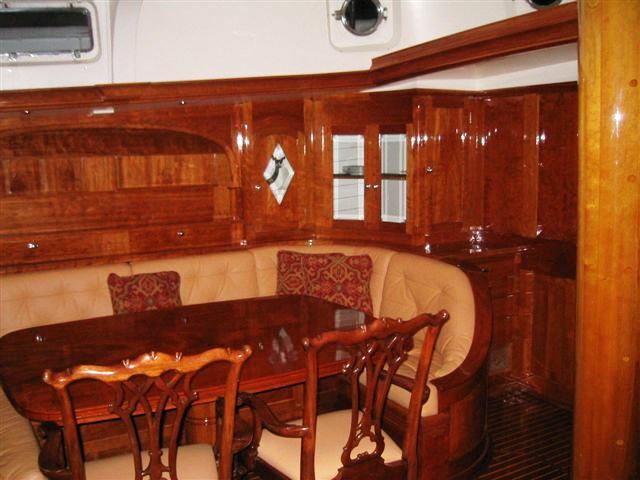 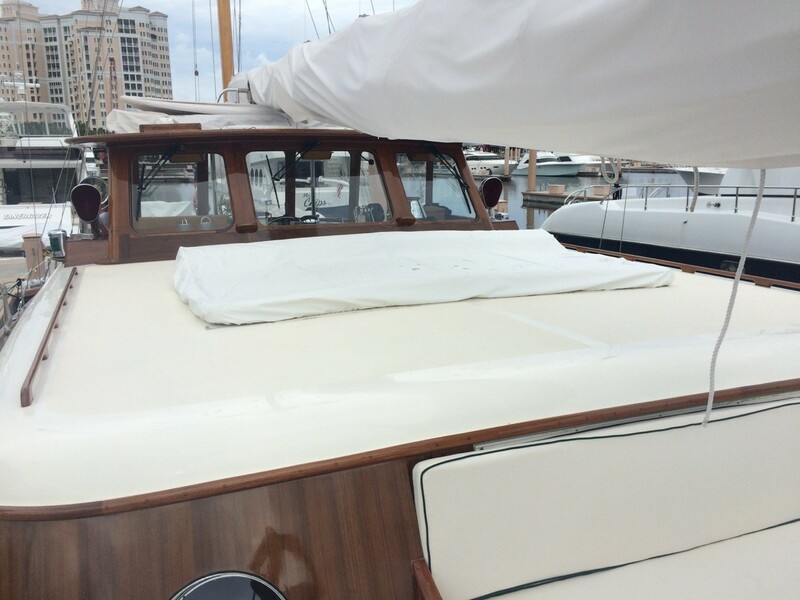 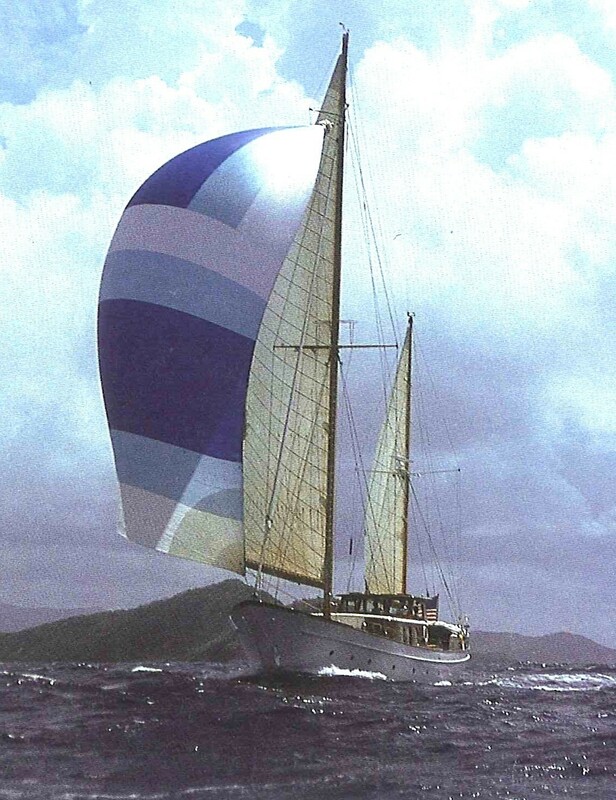 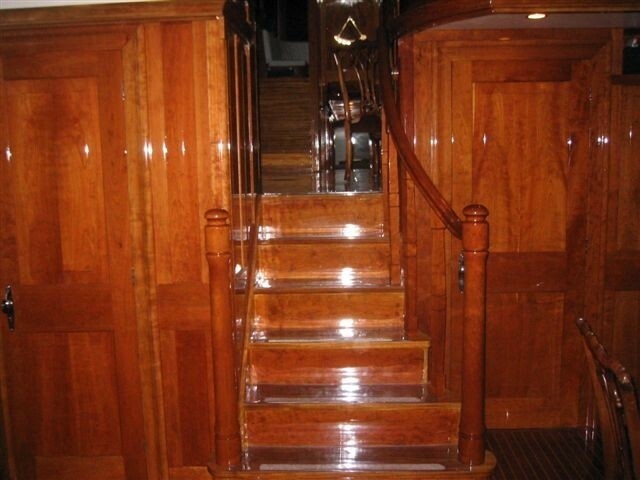 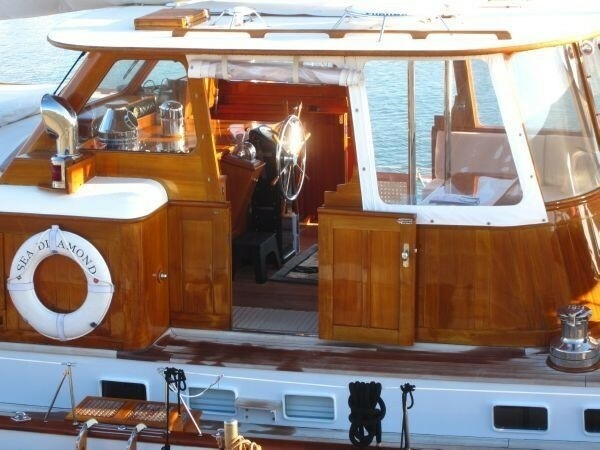 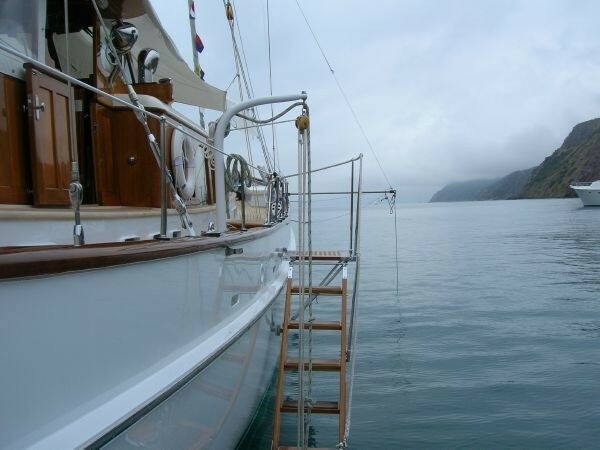 The classic motor sailor SEA DIAMOND has luscious teak decks and high gloss varnished rails. The aft deck is ideal for relaxing and sunning and boasts teak chaise lounges and a small table. 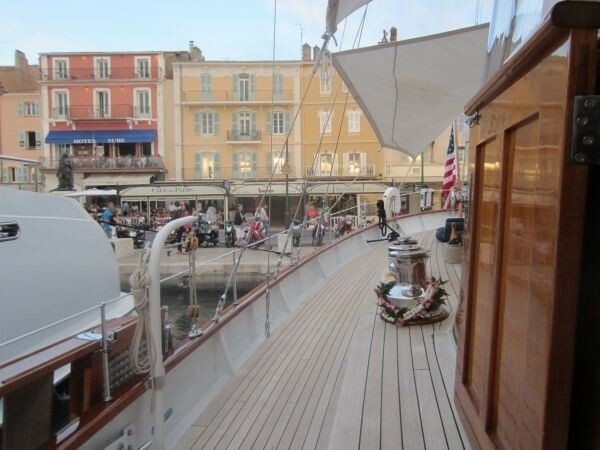 Side decks lead forward on port and starboard, to the foredeck, where an alfresco dining option is perfect for a casual lunch, or romantic dinner. 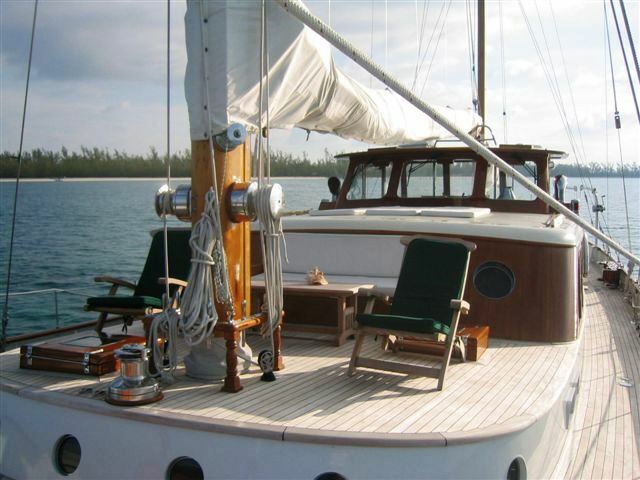 For the sun lovers, sunpads are atop the cabin house, providing guests will idyllic views, while soaking up the warm sun. 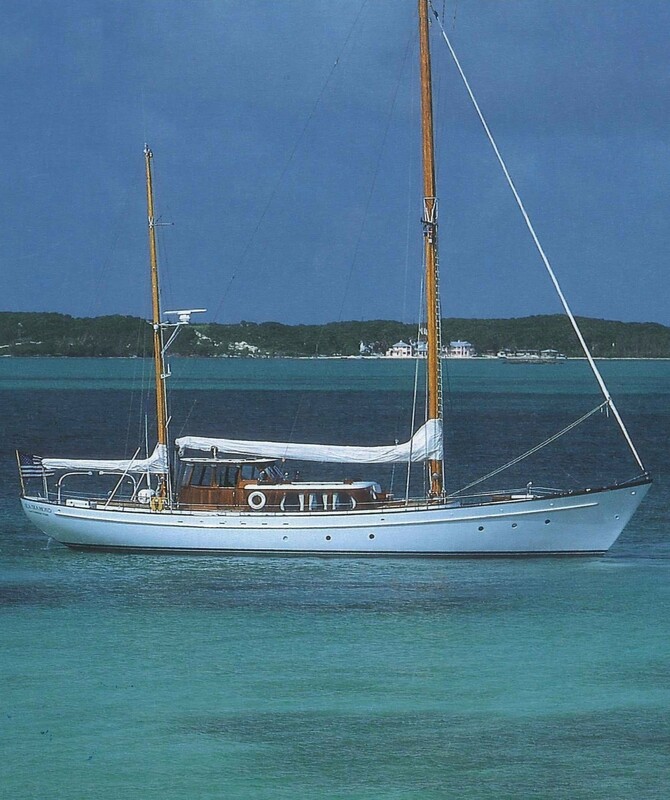 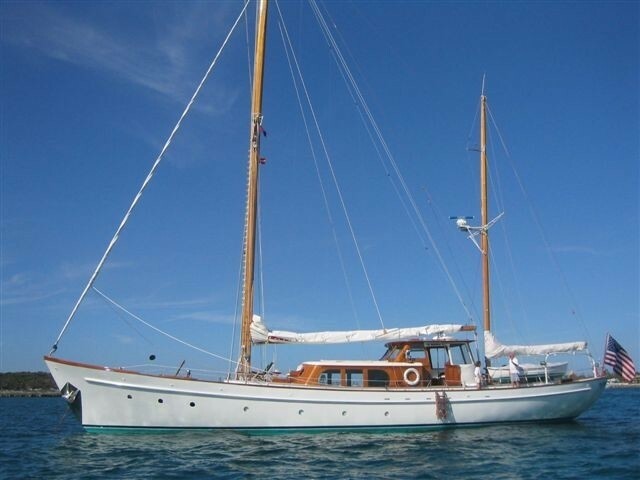 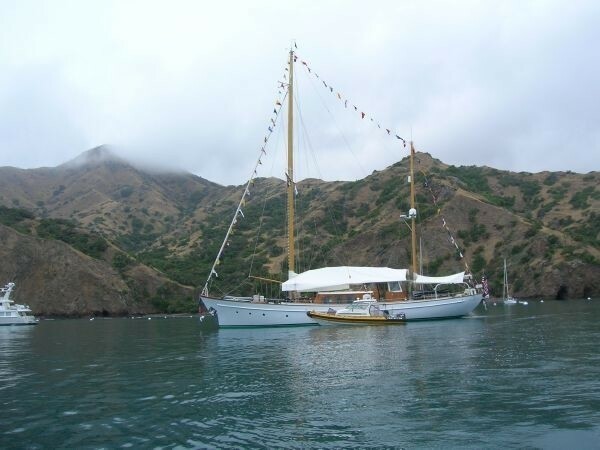 Powered by a Detroit diesel engine, SEA DIAMOND sail yacht is capable of 6 – 10 knots. The Abeking and Rasmussen motor sailor SEA DIAMOND is a true testament to an era of timeless and elegant craftsmanship. 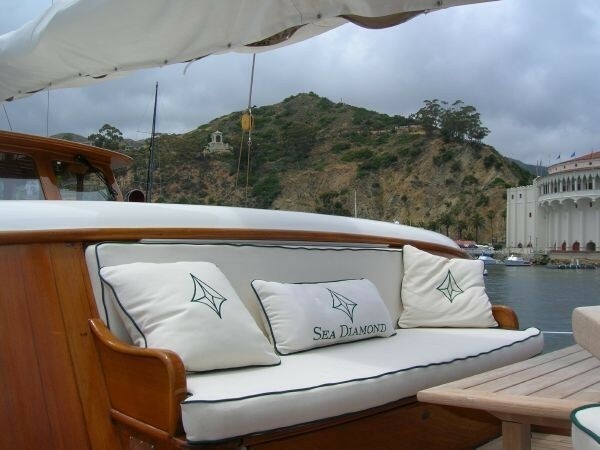 Luxury charter yacht SEA DIAMOND offers accommodation in 3 cabins, for up to 5 guests. 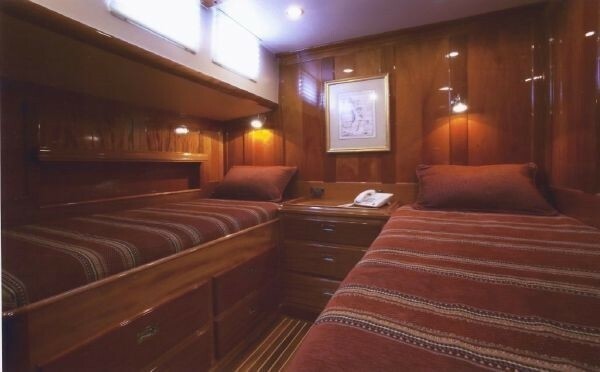 The master suite is aft and full beam of the yacht, with a center lined queen size ‘sleigh’ style bed. 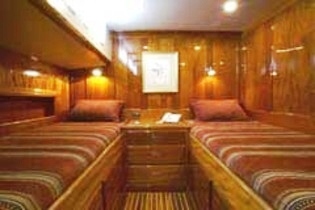 A guest cabin offers side by side twin beds. 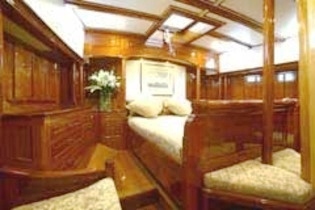 A further study has a Pullman single bed. 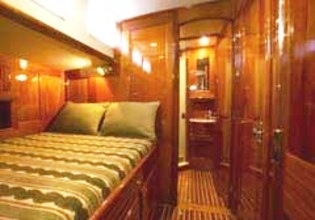 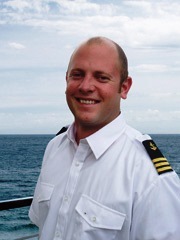 The master stateroom boasts en-suite facilities, while the guest twin and study share facilities. 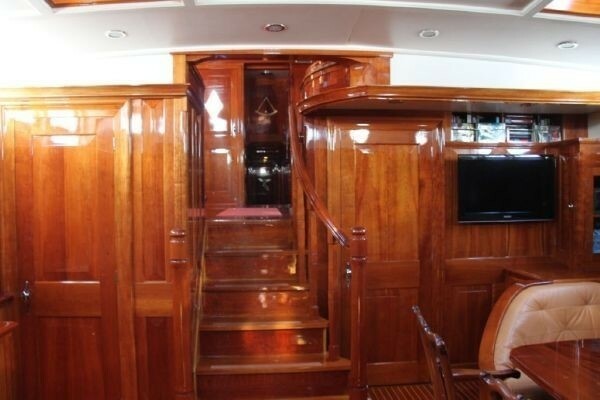 All 3 cabins offer individual controls for music and movies.